'Truth is the best muse"
[ David Jones's ] work reveals a complex and acute cultural awareness, both of the challenges of Imperialism and “technocracy” in the mid-twentieth century and of his own personal roots in artistic and literary modernism, Celtic culture and Catholic Christianity. 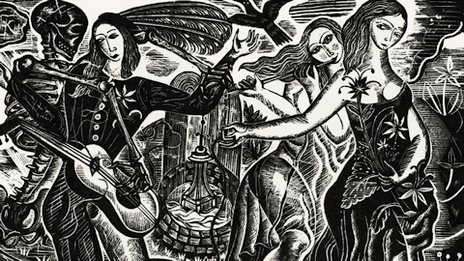 What we meet in reading a text or viewing a work by David Jones is an artist in the process of making, and aware of the dynamic character of a work of art. We are not so much deciphering or admiring a finished product as we are discovering traces of the activity of making, in this artist’s particular experience, an activity that he associates with a sacred dimension of human life. a Prophecy of Our Times? DAVID JONES returns! FlashPøint #13, Spring 2010, showcased the art of Welsh poet and painter David Jones, as well as scholarly reflections on his poetry. Two years later the David Jones Society held a new conference on Jones at Washington Adventist University in Takoma Park, Maryland. 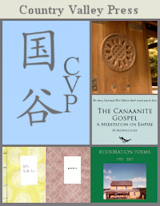 This issue of FlashPøint features papers presented at that conference. Kathleen Henderson Staudt introduces a host of essays by Thomas Dilworth on Jones and the Celtic tradition in English literature, Jasmine Hunter-Evans on "breaks" and "bridges" in the continuity of culture, Thomas Goldpaugh and Staudt herself on different significant aspects of Jones’s The Anathemata, Malcolm Guite on the "Incarnational thrust" of Jones’s art , Paul Robichaud on the key Jonesian theory of "making," Gregory Baker’s edition of an address by Jones to the University of Wales in 1960, as well as William F. Blissett’s reflections on new directions for projects on Jones’s work in light of his own friendship with the poet/painter. 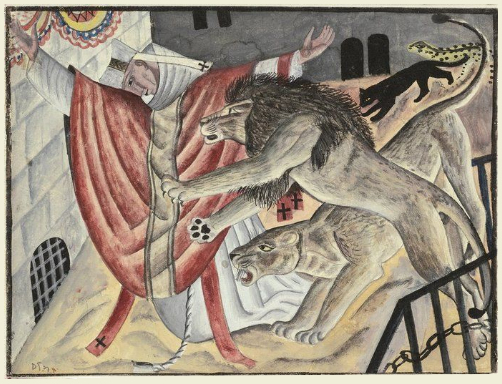 FlashPoint editor Bradford Haas adds a rich sheaf of Culture & Artifice: The Major Book Illustrations of David Jones following Jones’s explorations of word and image in the prose tales of others, including The Book of Jonah, The Chester Play of the Deluge, and The Rime of the Ancient Mariner. David Jones has further company in this issue of FlashPoint. One wonders what painter Jones would think of Tim Wengertsman’s work, but at the very least it would likely leave him arrested, not to say mesmerized. 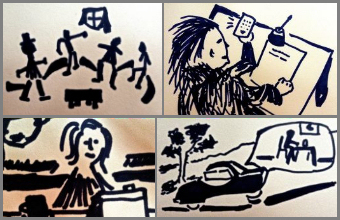 Catchwords & banalities storm through & about the protagonist in John Ryskamp's "The Curtain Rises on the Revolution," pummeling outward into single-sentence vignettes. Does he swat them off or is he batting them forward? From the play: "Ryskamp likes to guide his audience two fingers in the nostrils back to the stage." and "Are we dreaming Ryskamp or is he dreaming us?" Heady company for Master Jones! 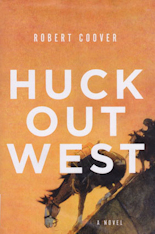 Even headier, Robert Coover takes (off) on a boyhood contemporary of Jones — Mark Twain — as he imagines what Twain did not — Huck Finn's (and Tom Sawyer's) later adventures after "lightin' out for the Territory." 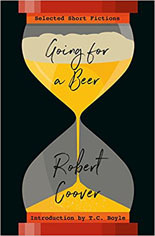 JR Foley booknotes Coover's new Huck Out West … as well as a brand-new selection of Coover’s short fictions, circa 1962-2016, entitled Going for a Beer. These shorties are never less than either funny or scary … or both at once. 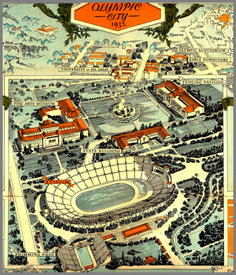 More heady company comes in the form of two episodes, "Bonus Army" and "Diabasis," from Jon Woodson’s new novel, "Summer Games," wherein four Black grad students drive cross-country from Washington, D.C., and the Bonus Army camp on Anacostia Flats, to the 1932 Olympic Summer Games in Los Angeles. 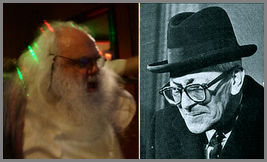 Let it not be said that the tales of Woodson are ever exercises in historical naturalism. 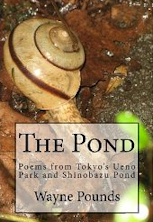 Nor, for that matter, are the fictions of Pete O'Brien, who returns to FlashPøint with a "Sheaf of Flashes 4," plus "whistles the jackdaw" and "29 may 2016: four poems." 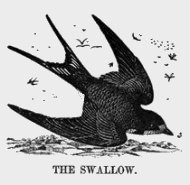 In "The Swallow" Joan McCracken takes us further into the passion and exuberant vision of Miriam amid lovers past and future. Then one of the lovers remembers Miriam in Ode to a Nightingale. But this seems game-playing in the face of what Pier Paolo Pasolini attempted in his never-produced screenplay St. Paul, which retold the early days of Christianity – transplanted to Nazi-dominated France – before, as Pasolini shows it, Satan and St. Luke turned it into a Church. Luciana Bohne in recounting the scenario asks: is it "a prophecy of our times?" And Ictus bites again! Canus Ictus, fool and gadfly exiled by Rome, wanders his isle of bones and skulls reminiscing of orgies and massacres past, invoking ghostly Spartacus, shipwrecks, battles with Spartoi, and the last time he and Loquatia wasted no time. 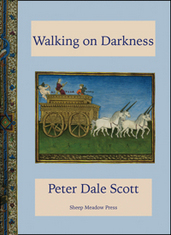 With Peter Dale Scott's Walking on Darkness set to appear later this year, FlashPoint is proud to present Six Poems from this new collection. Inspired by Peter Dale Scott's poem Tavern Underworld, Carlo Parcelli gives us More Fun House East, 1969 weaving two personal, polar opposite experiences into a helix of insight. Enjoy FlashPøint #18, and tell us what you think! 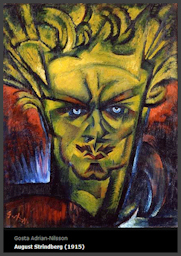 Some might wonder why we're juxtaposing works by the avowedly religious David Jones with a piece about the Marxist filmmaker Pier Paolo Pasolini's unfinished film 'St. 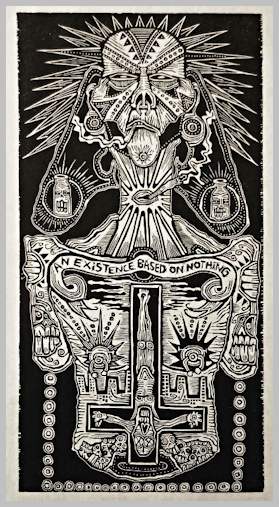 Paul', the art work of the Punk woodcut artist Tim Wengertsman, and the work of the avowedly irreligious poet Carlo Parcelli. But the juxtapositions are connected by a moral & aesthetic thread. David Jones shied away from the blasphemous curses of his Cockney WWI trench comrades, but he described their inherent power as 'almost liturgical'. And Pasolini noted that "Every blasphemy is a sacred word." "For now the artist becomes, willy-nilly, a sort of Boethius, who has been nicknamed "the Bridge", because he carried forward into an altogether metamorphosed world certain of the fading oracles which had sustained antiquity." "He looks back nostagically to the mythical relationship of ancient civilizations with nature and the earth from the extreme margins of the "universo orrendo" ('horrendous universe') perceived, from a Marxist perspective, as the dominion of bourgeois homogenization and consumerism." "My view is that all artists [...] are in fact "showers forth" of things which tend to be impoverished, or misconceived, or altogether lost or wilfully set aside in the preoccupations of our present intense technological phase, but which, none the less, belong to man." 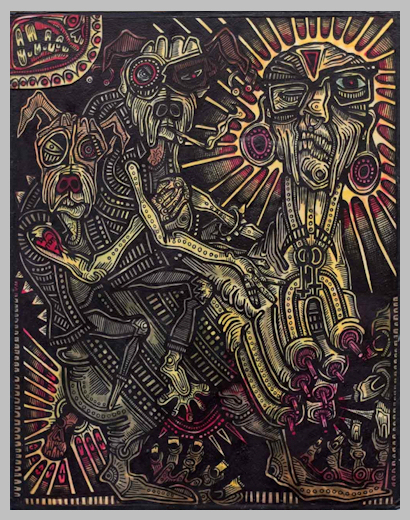 In Wengertsman's work we see a powerful yearning for comraderie and meaning. The meaning often comes through the physical/spiritual use and misuse of drugs & alcohol, but the desire for what's holy to him & his companions is annointed in his work by the use of halos & other religious iconography. Wengertsman is satirical but calls justifiably for empathy, asking us to feel the pathos of the lives of his subjects along with the humor. There's a strong desire for social justice in our four artists - a desire for a way to expose the brutality imposed by humankind on one another. 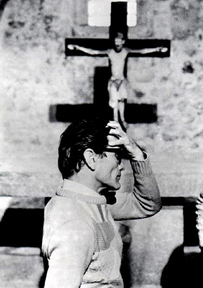 As one critic put it, Pasolini often used "religious/mythic imagery to ground a political critique". David Jones suffered immeasurably from the devastation of World War I. 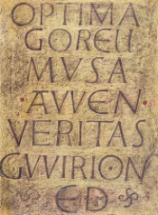 He also found the stories of the Roman Imperium apt for depicting the hegemony of our time. 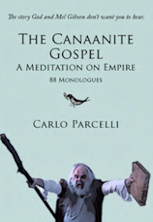 The lions depict the instinctive, brutal force of nature but also the ferocious desire for power on the part of the men who placed the Saint there, men such as those who gave us World War I.
Carlo Parcelli uses the Roman Imperium in his poetic monologues as metaphor for our current Western Imperialist age. But his characters don't look to the spiritual. Instead they predict a hunger for recourse with the same ferocity that matches that of the lion. As one of his characters says, "The meek will stand a bear up in a pen if it's meat." Paul Hills, 'The Art of David Jones' from David Jones, Tate Gallery, London, exhibition catalogue, 1981, p19. 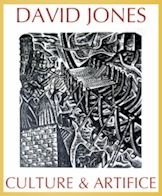 All David Jones images are reproduced by the kind permission of the David Jones Estate.